← Will Trump Mandate Spies in Democrat campaigns? What about when the facts you know conflict with the facts someone else knows? Conservatives and liberals operate on conflicting facts. One side is right and the other is wrong. That is when critical thinking comes into play when the intelligent person compares one set of facts to the other. Conservatives weigh the facts intellectually based on all of the evidence at hand, while liberals weigh the facts emotionally based on how they feel about them disregarding the facts they don’t like. Liberals believe conservatives are the ones operating on erroneous facts. This is why liberalism is considered dysfunctional. Education is the key to overcoming liberalism. What is a conservative but a liberal who was educated and experienced? Liberals cannot make a case for the opposite. You have to read beyond the headlines and hear both sides to understand the whole story, especially when propagandists bury the truth at the back of the article. When you say advocating for the assassination of the president is wrong, then advocate for the assassination of the president, there is no justification that can make you right. Conservatives did not call for the assassination of Obama for being a Moslem socialist America-hater because we understood he was just a symptom of the problem of Americans hating America. But liberals celebrate depicting the assassination of Trump because they hate his pro-American agenda. This America hatred has been indoctrinated into ignorant young people who grow up and do not learn the greatness of America. The facts they believe are based on their incomplete understanding of all the facts pertaining to any situation. No fact can be taken on its face because then it can be taken out of context. That’s why when you hear that someone said something you believe to be wrong and offensive that others say is righteous you must hear the statement in context with what they said before and after the statement. You must learn to recognize when someone is obfuscating and conflating the facts (good words you should know) more commonly known as double-talk. Lawyers love to make statements using words that make what they say not sound honest but are not quite truthful, so they have wiggle room to deny the truth. Here is a prime example of how liberals ignore facts. When Obama said prisons have five times more blacks than whites based on the nation’s population he erroneously concluded that the prison system is racist in convicting blacks disproportionately with whites. This plays well to the racists in the black community but takes that one fact out of context by ignoring all related facts. 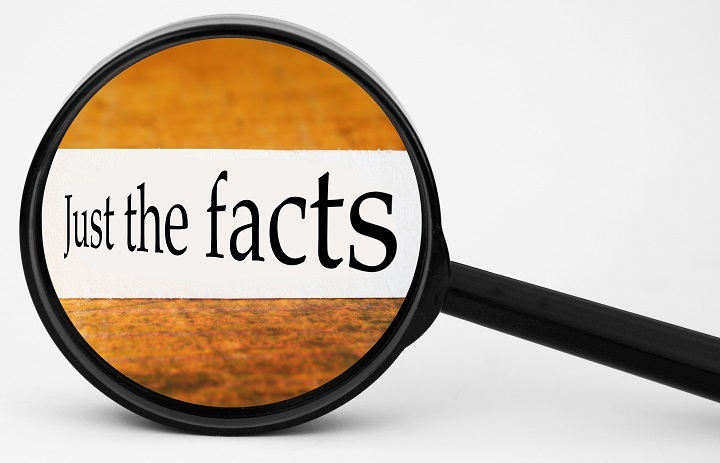 The correlation of facts (another good word you should know) includes facts like – black males commit ten times more violent crime than any other demographic group. Once a fact is proven to be false a pathological liar immediately seeks for another reason to justify their fallacious conclusion with a false premise; such as that blacks are poor and poor people commit more crime than affluent people. This is also false based on the fact that poor white people commit one tenth the amount of crime as poor blacks. They then justify their crimes on the basis that they are discriminated against. This is where liberal morality fails as discriminating against someone is not a crime (unless Democrats make it one, which is not right) and is something that happens to everyone. More importantly, being discriminated against or oppressed does not justify committing crimes against the innocent. Being discriminated against is generally a result of one’s own actions or being part of a group that invites prejudice. Oppression is often the result of bigotry which is not the same as prejudice. Prejudice, like ignorance, can be overcome, but bigotry, like stupidity, is entrenched. Everyone is prejudiced, but only a few are bigoted. So when liberals say cops are racist murderers that should be shot when criminals already shoot at them then they are advocating for the murder of the people who sacrifice to protect others. When they say soldiers are baby killers when they support abortion, when they say conservatives are racist against brown people because they want the borders secured against criminals and terrorists, when they say Republicans are Nazi KKK when Democrats were the party of socialist slavery that formed the KKK and imposed Jim Crowe laws, the Left has no leg on which to stand that is honest. Certainly, there are some cops who are racist and bigoted, but they are the exception. Many become jaded after dealing with a large swath of the population that commits crimes and attacks them. There are some cops that commit crimes, but they are rare, whereas ALL criminals commit crimes. The incidence of police going after innocent people is as rare as racism on the force. But you cannot convince a liberal that even the vicious, inhuman animals of MS-13 are guilty of heinous crimes. They will instead argue that they’re just people who are misunderstood and have a right to be in the USA to commit their atrocities. Thus, intelligence relies not only on putting facts into context, but also judging those facts with a moral heart. On that basis there are no liberals who adhere to Democrat mantras that is exercising either intelligence or applying righteous morality, which is why they are not to be compromised with but defeated. Republicans cheer for this hero. Democrats say she should be prosecuted. Had she shot the man again after he dropped the gun, even though she couldn’t see it, they would have demanded her execution. This is why Democrats should not be allowed to make laws, or have any input in those that are made, let alone be permitted to make judicial rulings from the bench. Democrats encourage blacks to glorify criminals and be gangsters then blame Republicans for their being shot or locked up. What can you say good about people who hold candlelight vigils for murderers on Death Row, who advocate for criminals, condemn police, and then praise killing babies in the womb? Leftists say burning the flag and kneeling for the National Anthem is a rightful form of protest as free speech. But when you burn the flag that is the symbol of that liberty you are not protesting some wrong but protesting the freedom and free speech it represents. In other words, they are actually protesting against free America and all righteous Americans, which means they are advocating for tyranny by the Left. When they cheer for football players, who spit their hatred for America in the faces of their fans who are paying them millions of dollars to play a game, these are not people who should be allowed to rule. They are the people that righteous American patriots should be taught to avoid. Leftists say burning the flag and kneeling for the National Anthem is a rightful form of protest as free speech. But when you burn the flag that is the symbol of that liberty you are not protesting some wrong but protesting the freedom and free speech it represents. In other words, they are actually protesting against free America and all righteous Americans, which means they are advocating for tyranny by the Left. When they cheer for football players, who spit their hatred for America in the faces of their fans who are paying them millions of dollars to play a game, these are not people who should be allowed to rule. They are the people that righteous American patriots should be taught to avoid. Keeping an open mind and paying attention to all that is said is vital. When you exist in an echo chamber where all you hear is what you want to believe is true of conservatives rather than what they are actually saying then your beliefs about them are delusional caricatures of reality. Try listening to what both sides say about themselves and then see if you think it is conservatives who are lying. There’s always hope that your insanity can be cured. This entry was posted in Politics and tagged Alternative Facts, Conservatism, Democrats, Democrats endorse MS-13, Donald Trump, Leftist ideology, Liberal Fascism, Liberalism, NFL protests Trump, Patriotic Americans. Bookmark the permalink.